Or, perhaps, launch that school supply in the garbage, along with your expectations for the 2019 baseball season. As the world prepares to bid farewell to the Iron Throne, MLB contenders repeatedly mash the proverbial panic button harder Tyrion Lannister hitting a bottle of Cabernet. It doesn’t matter how many horses you have in your stable, in most cases, if you want to finish well, you must start well. Boston’s highly-decorated roster found that champions always have a larger target on their back and immediate “public enemy No. 1” status. Stopping a hot team builds courage and swagger for upstart squads, or perhaps ones that don’t get due respect. We recently saw this transpire in college basketball, where the ubiquitous Duke Blue Devils escaped defeat in heart-pounding fashion to the University of Central Florida and Virginia Tech. Freshman phenom Zion Williamson and his team would eventually fall to Tom Izzo and his relentless Michigan State Spartans. Case in point: when you’re considered the best, every other team wants a piece of you. 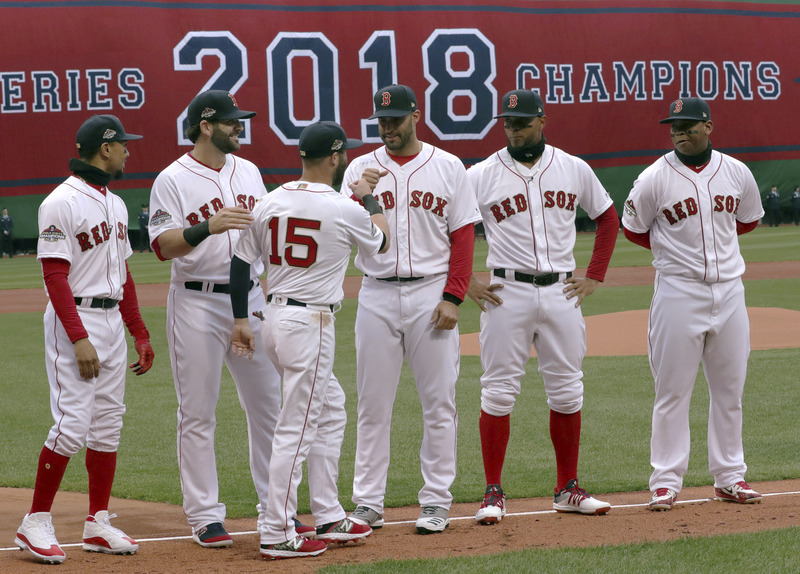 The point is that despite the slow start the Boston Red Sox are still really good, and the rest of Major League Baseball wants to beat them. So that’s why Chris Sale and other stars of the team face such punishing early adversity. Figuring it out isn’t easy and isn’t supposed to be. And by the way, the Red Sox currently occupy last place in the notoriously stingy American League East division. But team chemistry is off, and there are several new-look teams. Almost all of whom are off to at least decent starts. Bryce Harper took his time in making a $330 million move from Washington D.C. to Philadelphia, but the Phillies sit at 7-3, and so far, Harper has a .333 batting average, .511 On-Base-Percentage, and four home runs. I’m not going to rush out and buy his jersey, because I don’t particularly care for the guy, but he helps his team win. Elsewhere, other marquee names find 2019 with new surroundings and stratospheric expectations, including Manny Machado out in San Diego. Who is also helping his team win. Then you have Mike Trout. Let’s talk about this gentleman for a moment, shall we? He’s rich, super rich, signing the most lucrative contract in professional sports history. How does $430 million over 12 years sound? That’s a lot of In-N-Out burgers. With over 600 career RBI, the only logic I find for Trout staying with the aggressively mediocre Angels? He just loves living in Los Angeles. Dombrowski spends money too. Lots of it. Yet Boston still searches for a stopper to their early free fall. Improved pitching, as is almost always the case, will prove the solution. Chris Sale is abysmal right now, yielding an 0-3 record and an ERA of 9.00. A number that high is good per frame in bowling, but sure as hell not in baseball. Does this team have enough resolve resurrect itself? Absolutely it does. But, what about other usual contenders suffering similar hiccups? Right now, the American League playoff field would consist of teams like Tampa Bay, Seattle, and the Detroit Tigers. Painful though it is to admit, the Tigers don’t belong in that conversation, not this year. Save for the plummeting Cubs, the National League is far more predictable, more chalk-like, you might say. The season of overreaction is upon us. We constantly look for sporting storylines to dissect and analyze. It’s not even Easter yet and the teams who deserve to play for the Commissioner’s Trophy in October will be there, ready to bop with the best. Will the Red Sox be one of them? Depends on luck of the draw.